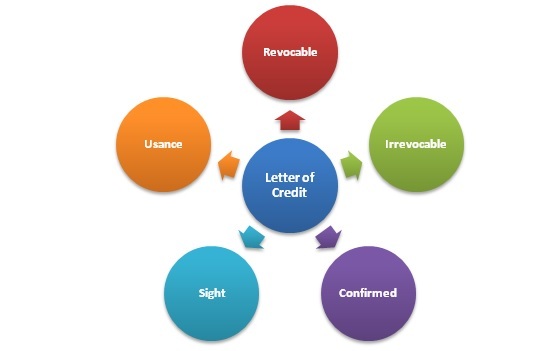 In all there are 5 types of letters of credit. Banks and huge financial institutions are involved in issuing L/C to importers and accepting L/C on behalf of the exporters in an international trade. Letter of credit is a boon to exporters and importers as it takes away the risk of non-payment for the delivery and non-receipt or faulty order deliveries and wrongful discharge of the terms of a contract. Before you go on to read about different types of letter of credits do read the previous article on Letter of credit-meaning, process, parties involved with an example. The word “revocable” means “cancellable”. So, a revocable letter of credit means that the letter of credit can be cancelled by the Issuing bank without the consent of or without intimating the beneficiary (the exporter in whose favour the letter of credit is issued). A letter of credit is revoked/ cancelled only when the beneficiary does not present documents to the buyer as per the terms of the contract. This type of letter of credit is risky for the beneficiary because he is unaware of the cancellation of the letter of credit while he is still feeling assured that the payment will be received on time from the issuing bank. This type of letter of credit cannot be cancelled or withdrawn by the issuing bank without informing and receiving an approval from the beneficiary. In this type of letter of credit the beneficiary is intimated about the reason of cancellation and is given an opportunity to correct the errors in the documents presented to the buyer only if the buyer approves. There are instances when the advising bank (bank of the exporter) asks for another bank to reassure the issuing bank’s letter of credit. In these cases the reassuring bank is called the confirming bank and a confirmation of backing the issuing bank’s letter of credit is sent by it to the advising bank. Such a letter of credit is called confirmed letter of credit. When an issuing bank makes payment to the beneficiary immediately on receipt and verification of the documents from the beneficiary (exporter) it is called a sight letter of credit. Letters of credit generally carry an expiry date on them. In an L/C contract where the issuing bank agrees to pay the beneficiary only on the expiry of the letter of credit, the L/C issued is called usance letters of credit. This is considered risky from the point of view of an exporter because he is left unpaid for a considerable period of time after the delivery of the documents and shipment. He might also be running short of working capital for his other orders because of this. As letter of credit aims to protect the interest of the exporter by making payments against the documents sent to the importer, from the point of view of an exporter, a letter credit that is irrevocable, paid on sight and is confirmed by a confirming bank is the most secure and best option. Also read what is bank guarantee (b/g) with example in simple words.